Const. James Forcillo's decision to fire a second volley of shots at Sammy Yatim was the result of the officer's "misperceptions," but that doesn't mean he should be convicted of murder, Forcillo's lawyer told the jury at his trial in Toronto on Wednesday. "He did what he thought was the right thing as is his discretion," Peter Brauti said of the Toronto police officer in his second day of final arguments. "The law forgives these kinds of mistakes." The jurors will try to decide if Forcillo is guilty of second-degree murder and attempted murder, after shooting the 18-year-old Yatim dead aboard an empty Toronto streetcar in 2013. Brauti argued that what mattered most that July night was not if Yatim was an actual threat, but instead if Forcillo believed lethal force was necessary to stop the teen from attacking him. Forcillo was charged after he fired nine shots at Yatim, hitting him eight times. The teen had exposed himself to passengers and brandished a knife. He was still holding the switchblade when Forcillo arrived on the scene, and he refused repeated orders to drop it. Brauti told the jury that a number of misperceptions led Forcillo to believe that Yatim might attack him. Among them, Brauti said, Forcillo testified that he saw Yatim grab the knife and sit up at 45-degree angle after the first three shots were fired. That, the defence lawyer said, led Forcillo to fire another six shots at the teen. The jury was repeatedly shown video that demonstrated Yatim did not in fact sit up. One of Forcillo's initial shots severed the teen's spine, making it impossible for him to do so. Another shot pierced his heart. "You can misperceive things because you're so focused," Brauti told the jury. But misperceptions in the case do not belong to Forcillo alone, Brauti said, giving examples of others by witnesses. For example, Forcillo's partner testified Yatim was still standing after the first volley of shots when in fact he was not. By comparison, Forcillo's misperceptions were much less significant, his lawyer argued. "Officer Forcillo's misperceptions were more minor than the misperceptions made by others and they weren't under the same stress," said Brauti. Also at issue during the closing arguments was whether Forcillo should have exhausted other options before resorting to lethal force — something the Crown's expert on use of force suggested during the trial and which Brauti dismissed today as "desperate suggestions and theories." Brauti told the jury that it should consider in the first place whether Forcillo believed that Yatim could only be stopped by lethal force. A Taser was not available to Forcillo when he shot the teen. 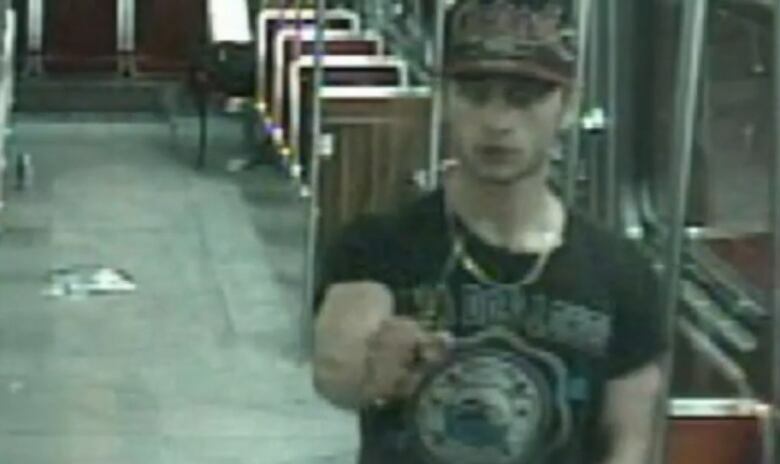 Pepper spray, Brauti suggested, would have forced Yatim off the streetcar possibly endangering the officer's life. Significantly, Yatim was given twelve chances to surrender to police, Forcillo's lawyer reminded the court. Brauti also said that Forcillo's training dictated that he didn't need to wait for Yatim to get up before shooting him again if he believed Yatim might attack. Brauti concluded his arguments Wednesday by asking the jury to use what he called "common sense." The crown will begin its closing arguments Thursday. During a morning break, a woman in the courtroom handed Sammy Yatim's mother a single rose. And outside the courthouse, a friend of the Yatim family said Forcillo made a very bad decision by shooting the teen. "There's no reason for that boy to be shot," said Joseph Nazar. "If everybody [who] doesn't respond to a command, we could go back and shoot him, I think a lot of people would be murdered in Toronto."